The aromatic tree resins of the world are some of the most potent healing materials on Earth, used in folk medicine, indigenous medicine, and many of the more established systems of healing, from East to West. Whether used topically, as incense or fumigants, or for internal applications, these precious medicines have a wide range of healing virtues that no plant person, aromatherapist, or healer should overlook. If you aren’t too familiar with tree resins, they are those sticky substances that exude from trees when their bark or branches are damaged in any way. This healing substance seals the wound of the tree, keeping out intruders like insects, funguses, and bacteria, while healing components within the resin act to speed up the healing process. After they dry, resins are traditionally collected in droplets or paste-like globules and used in countless ways to bring balance, healing, and spiritual enhancement to humans all around the world. Through simple observation, ancient peoples discovered how the trees healed themselves using resins and gums, and realized that same healing substance could be used on humans in the exact same way to heal and protect the physical body. At the same time, resins have been used to balance emotional states and heal on the psycho-spiritual levels for ages. They have also been used for a wide range of psychological imbalances and disorders, ranging from memory problems, to strengthening focus and cognition, to reducing anxiety and overthinking. And of course, they have been at the heart of countless rituals and ceremonial practices throughout nearly every spiritual and religious practice around the world for millennia. Resins are generally used in two kinds of medicinal preparations; there’s the more artistry type of preparations, which are usually used as beauty products or cosmetics that also hold the healing benefits of the resins; and there’s the more precise medicinal preparations that are prescribed for more serious acute or chronic imbalances or illnesses. The more advanced medicinal preparations are usually prescribed by an experienced physician as internal medicines, or for long-term topical or inhalant use as incense or essential oils. If you’re just learning about resins or medicine making, trying your hand at some simple artistry-type beauty or first aid products like healing salves or rejuvenating skin cremes is a really great way to learn about how to use and work with resins, while getting to enjoy their aromas and healing virtues. 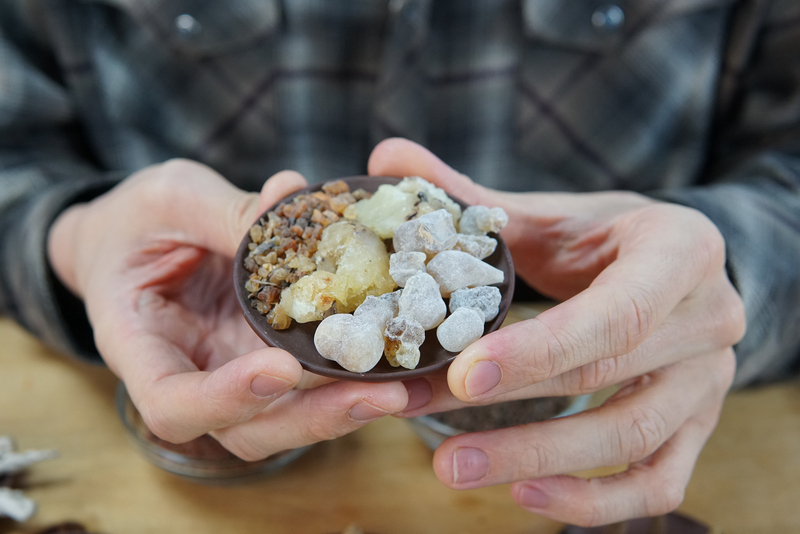 Watch the video above to learn some great tips for working with tree resins! Resins have a long history of being used topically for nearly every kind of skin injury, disorder, and many other physical imbalances. Physicians apply resins topically by making ointments, unguents, salves, or melting them down (depending on their unique nature) and putting them in cremes and rejuvenative and healing cosmetics. They are also commonly burned as incense for many psychological and emotional imbalances, countless respiratory illnesses, and colds, flus, and infections. There are also many traditional applications of making decoctions or extracts that are safe for internal use as well. Some traditional peoples are even known to ingest particular species of resins in their raw form. Now I definitely don’t recommend munching on a handful of Pine resin or anything, it will stick to your teeth like crazy! 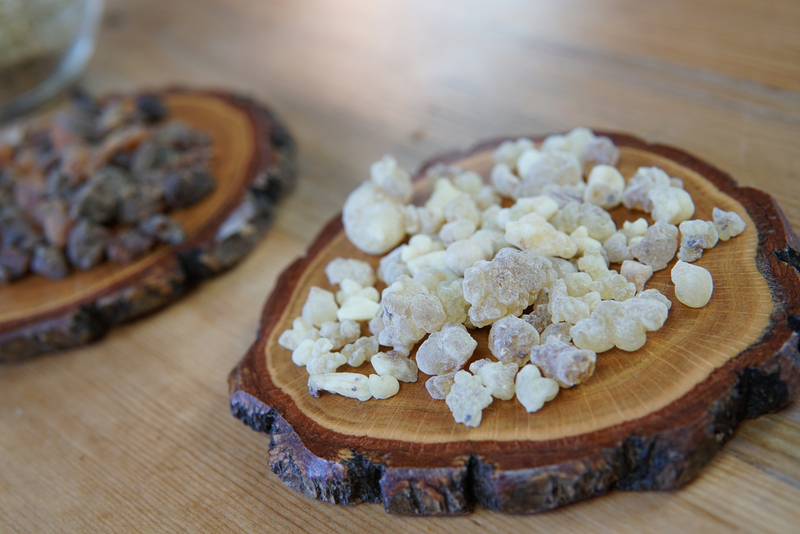 But Boswellia frereanna for example, a particular species of Frankincense, has been used in the Middle East and North Africa as a mouth-cleansing chewing gum for ages. Working with the many tree resins and plant gums of the world is a very rewarding practice so say the least. These are really potent and concentrated medicines that act holistically, especially when burned as incense. They can be used topically for countless physical ailments and disorders, to balance the emotions when dispersed into the atmosphere or used topically as essential oil, to positively affect the mind and cognitive functioning, and of course, to enhance prayer, ritual, and all spiritual practices when used as anointing oils, sacred perfumes, or burned as incense. 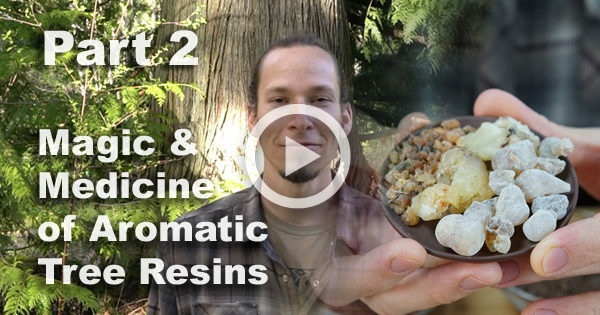 To learn more useful tips and tricks for breaking down and incorporating resins into different medicinal preparations, watch the video above. Ready to Watch Part 1? Click Here. Are you interested in learning more about the healing virtues, traditional teachings, and experiential wisdom of aromatic plants and tree resins? Take your practice with aromatic medicine to the next level by checking out the Listening to Incense Program.